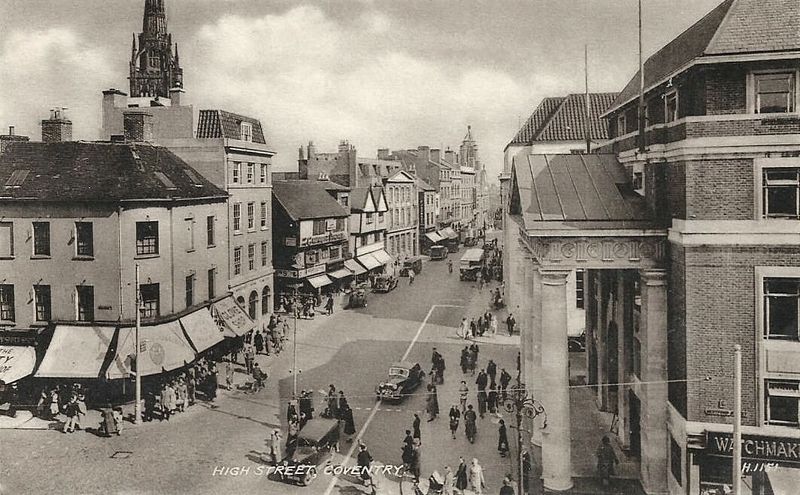 Above: on High Street with the columned bank building on the corner of Hertford Street and The Kings Head Hotel on the other corner of Hertford Street. In the distance is Smithford Street. 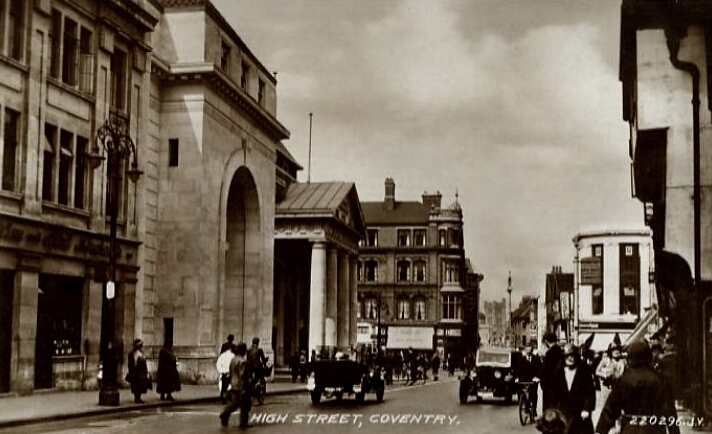 At the right of Smithford is the Burtons building which previously used to be the City Hotel. Above: on Broadgate with Hertford Street up ahead. 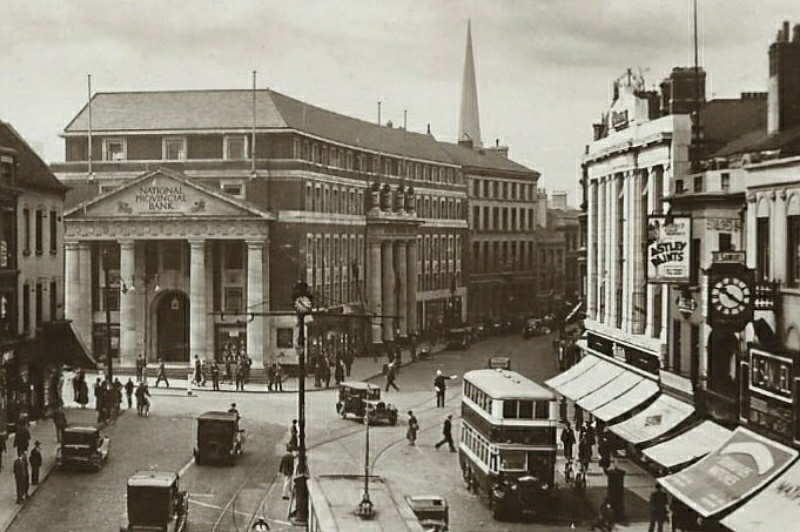 The National Provincial Bank building on the corner going back into into Hertford Street. These sides of Broadgate and The Kings Head Hotel would be destroyed or made unsafe by wartime bombing but the bank would be a lucky survivor.